Summer Frost is a beautiful lace cap hydrangea that has unique foliage. 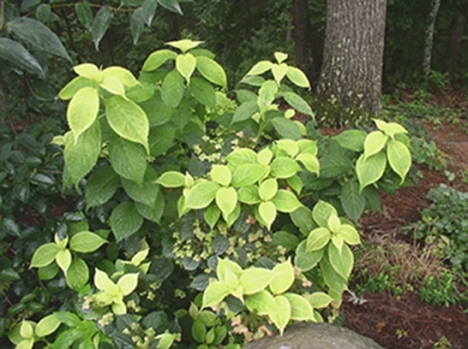 After it blooms, new foliage growth emerges a yellowish white color, adding interest in the garden during the summer months. The bloom color is ph dependent. Summer Frost can be used as a specimen on its own or grouped with other hydrangeas.